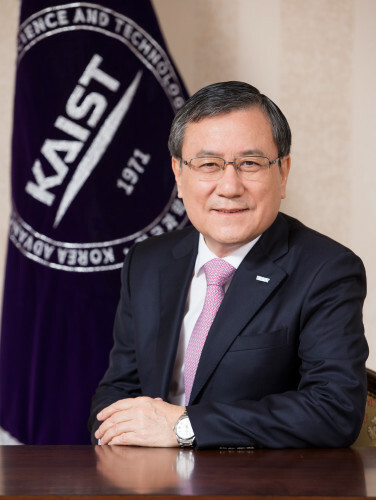 President Sung-Chul Shin has been named the recipient of the Distinguished Career Achievement Award 2019 for Alumni of Materials Science and Engineering at Northwestern University. The awards committee announced last month that the committee decided to award President Shin in recognition of his significant contribution toward materials research, particularly in the field of magnetic materials, and also for the leadership he has demonstrated in higher education. The awards ceremony will take place on May 16 at Northwestern University. President Shin earned his PhD in material physics at Northwestern in 1984 after completing his MS in condensed matter physics at KAIST in 1977. He is also a graduate of applied physics from Seoul National University. President Shin, an accomplished scholar in the field of nanoscience and a pioneer of research in nanospinics, has held numerous fellowships including the American Physical Society and received scholarly honor from the Asian Union Magnetics Societies. His research focuses on the artificial synthesis and characterization of nonmagnetic materials, magnetic anisotropy, and magneto-optical phenomena. While studying at Northwestern, he produced novel superlattice multilayer thin film structures with bismuth and lead telluride, noting that they have similar structures. With his expertise, he joined KAIST in 1989 to dedicate himself to academic contributions. During his professorship in the Department of Physics, he produced about 300 journal papers and 37 patents while fostering 80 graduate students. He served as the first president in Daegu-Gyeongbuk Scientific Technology Research Institute (DGIST) for six years from 2011.